Steal everyone's thunder and make it your own wearing the Neil Barrett™ Cape Hybrid Shirtdress. Decorative side flaps for added feminine allure. Webbed, seatbelt-inspired belt at the waist with adjustable buckle closure. Dual slide hand patch pockets. 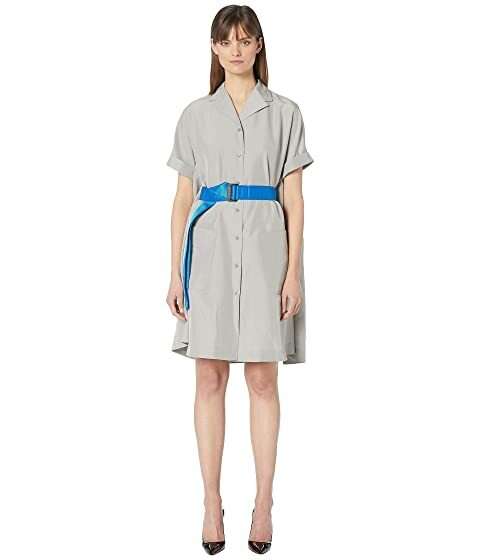 We can't currently find any similar items for the Cape Hybrid Shirtdress by Neil Barrett. Sorry!